"Not at PyCon? 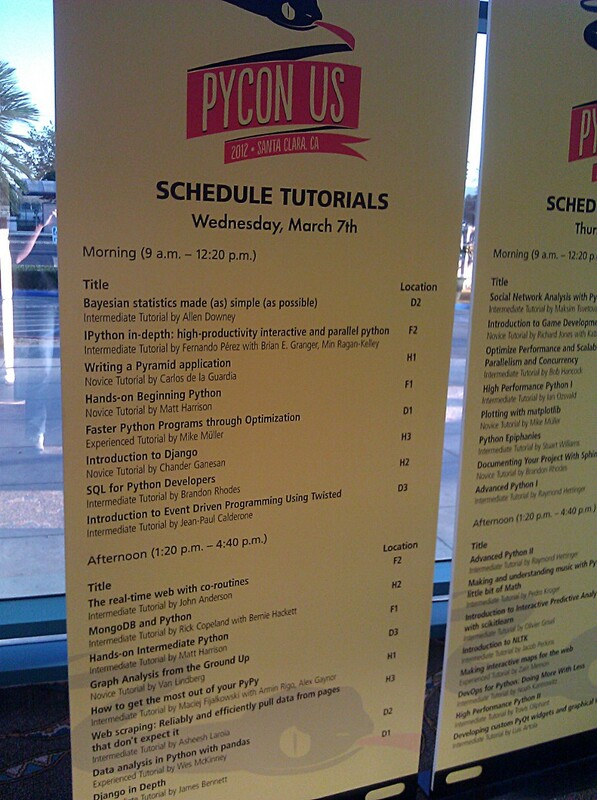 Learn Python Anyway"
"Handout for PyCon 2012 Hands-On Python Tutorial"
Here is the latest iteration of my beginning Python handout. It has gone through a few iterations over the years. It is pretty cool that about 90% of the basics of Python fits on both sides of a legal sized paper. "Amazon KDP Select Non-Fiction Week 3"